This is a 20 day tour to three countries. Start the tour in the north of Israel. Travel to the south, and into Jordan. From Jordan, cross over to Eilat, and into Egypt. 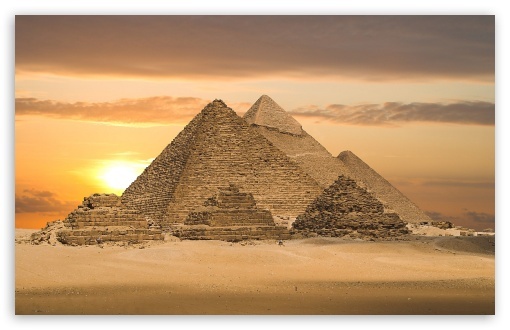 Travel north where you will tour Cairo, and take a plane to the Nile cruise and back. Departure is from Cairo, and there is an option to depart from Tel Aviv. The tour can be changed to suit your needs. Order of the tour may vary according to the start day. This tour can depart any day of the week. 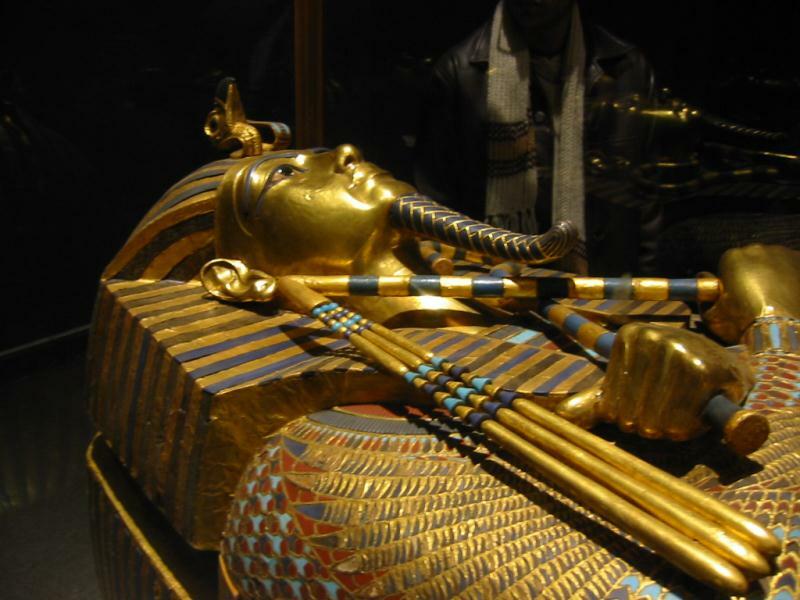 This is a tour with the Christian sites, we also have a tour with the Jewish sites, for your preference. Day 1: Arrival in Tel Aviv. A driver will be waiting to take you to your hotel. Relax and maybe take a walk around the town, but don’t forget you have an early start in the morning. Overnight Tel Aviv. Day 2: Nazareth and the Sea of Galilee. 07:15 a driver will be waiting for you to start the tour. Drive toward Nazareth, stop at the Mount of Precipitation. 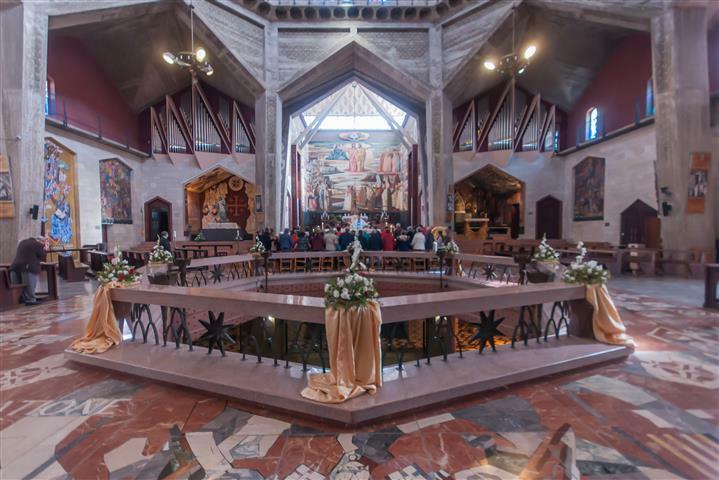 Tour the Church of Annunciation, and the Church of St. Joseph. 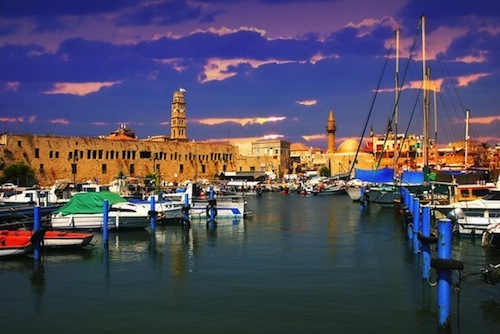 Travel to the Sea of Galilee, visit Capernaum and the Benedictine Church. At Yardenit, Sea of Galilee, there will be a chance to be baptized in the Jordan Rivers for those who wish to do so. On retuning we will pass Mt. Tabor. Overnight Tel Aviv. Day 3: Caesarea, Acre, and Haifa. 07:15 start the day driving to Caesarea. When arriving tour the Roman Theater, and the hippodrome. In Haifa walk through the Baha’i gardens and shrine. In Rosh Hanikra ride the cable car down to the grottos. Stop at Acre to tour the Crusader city and the Turkish prison. Overnight Jerusalem. Day 4: Jerusalem. 08:30 a driver will take you for a panoramic view of the Old City. 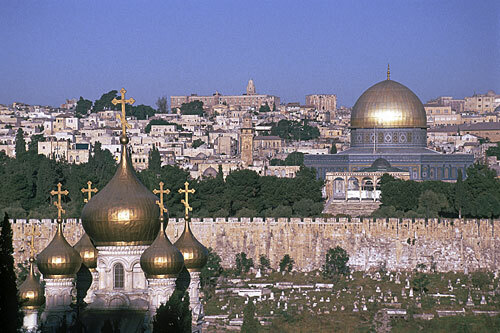 Enter the Old City and walk along the Via Dolorosa to arrive at the Church of the Holy Sepulchre. 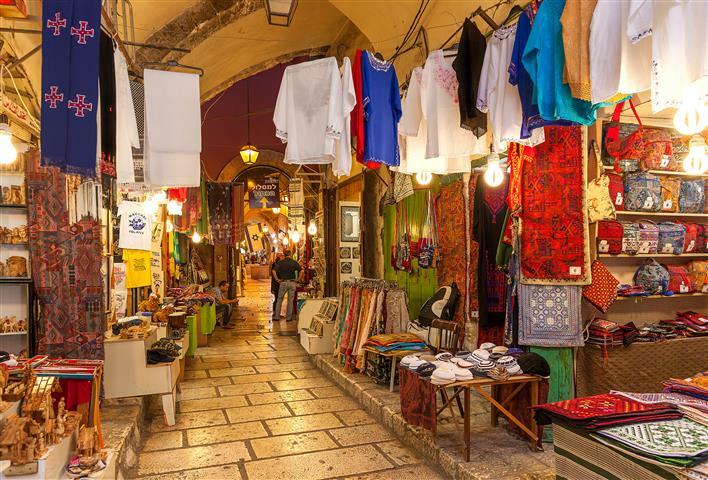 Tour the Jewish Quarter and the Western Wall. 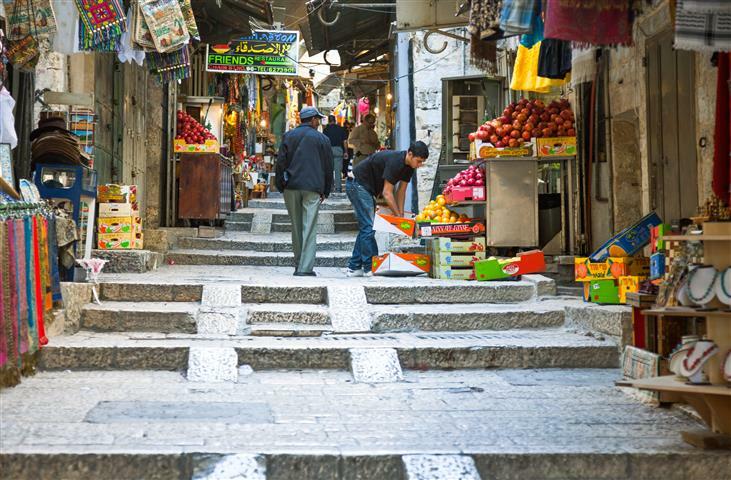 Take a walk in the Old City markets. Visit the Yad Vashem Holocaust Museum. Overnight Jerusalem. Day 5: Jericho and Bethlehem. 08.30 drive towards the Dead Sea, and turn towards Jericho. 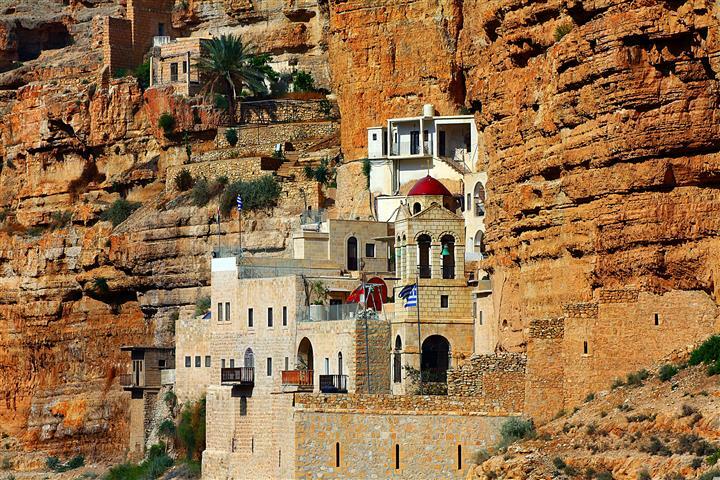 When arriving in Jericho view the Mount of Temptation. 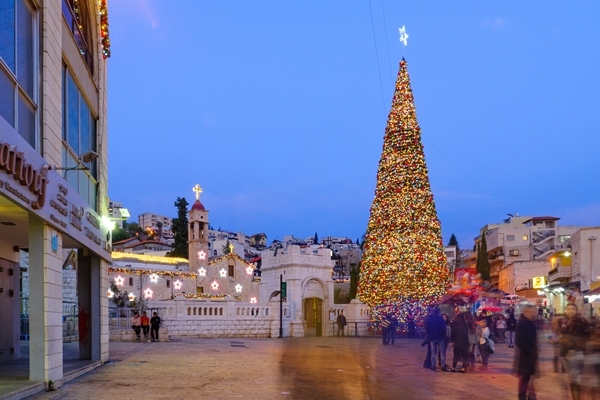 Tour the numerous excavations, and drive on to Bethlehem to walk across Manger Square, and arrive at the Church of Nativity. View the ancient mosaic floor from the 4th century. There is a star which commemorates the place where Jesus was born. Tour the manger and the altar that is dedicated to the three wise men. Walk a short ways to the Crusader Church, and do down to the grotto. As you are leaving, pass the Mild Grotto and Shepherd’s Fields. Overnight Jerusalem. Day 6: Footsteps of Jesus. 08:30 Start the day with a stop at the Mount of Olives, start touring the Church of Ascension. Walk on to the Pater Noster, a Crusader cloister. 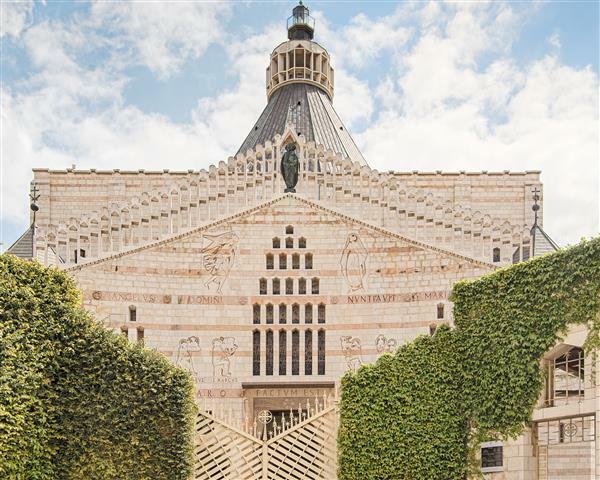 Walk down from the Mount of Olives and stop at Dominus Flevit. Continue on to tour the Church of All Nations in the Garden of Gethsemane. Cross th Kidron Valley and enter the Old City through the Lions gate. Stop at the pools of Bethesda and the Church of St. Anne. Enter the convent of the Sisters of Zion. Stroll in the courtyard of the Praetorium. Day 7: Masada and the Dead Sea. 08:30 Drive to Masada, and ascend in a cable car to the site. Tour Masada with your guide, viewing the palaces built by Herod for his personal use. Tour the very will preserved bath house, the ancient synagogue, the Roman barracks, and more. 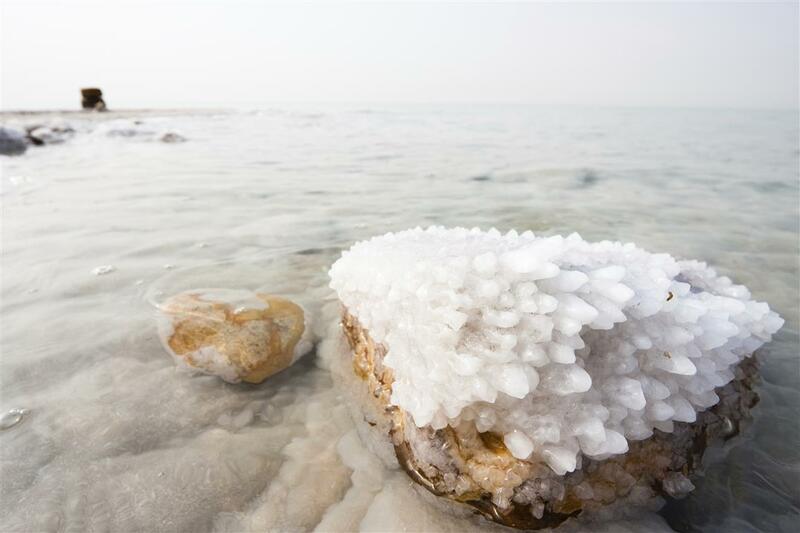 After lunch, continue on to the Dead Sea for a swim in the therapeutic waters. 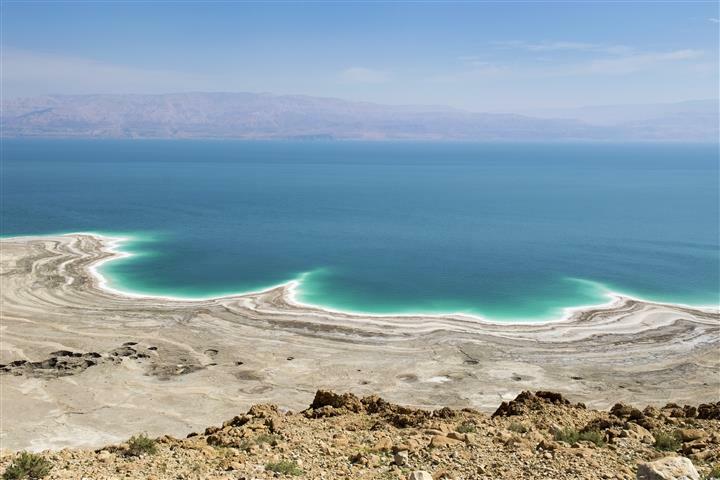 Day 8: Dead Sea Spa and transfer to Eilat. Rise at your convenience, eat breakfast, and this day includes the entrance fee to the Dead Sea Spa. Enjoy a mud bath, Jacuzzi, or the therapeutic baths. Massages and treatments not included. In the evening you will have a transfer to Eilat. Day 9: Petra. 08:30 a driver will be waiting to take you to the Arava border. He will help you with the border proceedings, and another driver will be waiting on the Jordanian side to take you to Petra. With your guide, walk through the Siq to arrive at the Treasury (one of the main reasons Petra received its status as one of the seven wonders of the world). Continue on to tour the Roman theater, the tombs, the mourning houses, the temples, and more. After lunch you will be taken to your hotel. Day 10: Petra. This is a free day to go back in Petra and explore on your own. 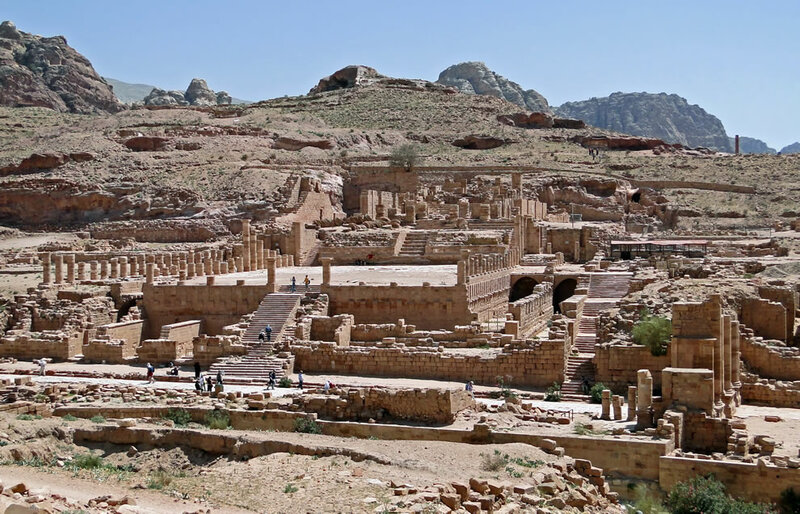 There are also markets, and Little Petra. In the evening you can see Petra by night, approximately $15 (not included). Day 11: Wadi Rum transfer to Mt. Sinai. 09:00 (approximately) start the tour in a 4x4 to tour the desert of Wadi Rum. As you are driving through the desert see the amazing paintings on the side of the sandstone mountains that are thousands of years old. Take a tour to see how the Bedouins live. In the afternoon, there will be a transfer back to the border and to Eilat. The driver will hold your luggage, and you can have a walk around the beach area, and get a bite to eat. At 21:00 you will meet the driver for a transfer to the Taba border. You will be assisted with the border proceedings, and another driver will be waiting to take you to Mount Sinai. Start climbing the mountain with your guide. Day 12: Mt. Sinai and St. Catherine. See the beautiful sunrise from Mount Sinai and continue after to tour Saint Catherine’s Monastery with your guide. Tour the ancient library, the church, dated back to the 6th Century , “The Burning Bush," and “Jethro’s Well." 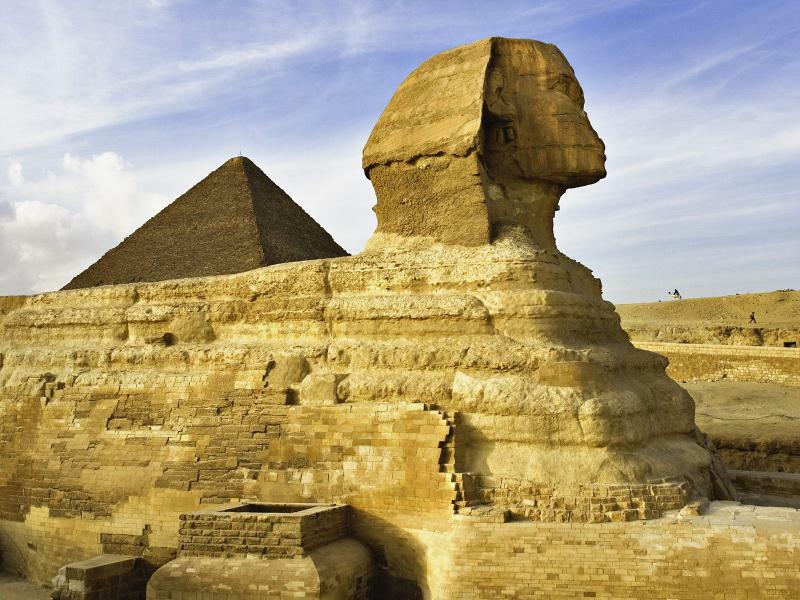 Leisure day in Cairo, to walk around by yourselves, and relax after an exhausting trip. Overnight Cairo. 17 Full touring days including guide and transportation. Single supplement. There will be a $1200 single supplement for 1 person traveling alone.